Taoiseach Leo Varadkar added that his own personal views wouldn’t decide what stance the Cabinet takes. TAOISEACH LEO VARADKAR has said that the Cabinet will come to a collective decision on whether to hold a referendum on the Eighth Amendment – but added that ministers would be able to “dissent” if they wanted. Varadkar has said previously that he would like to hold a referendum on The Eighth Amendment by May or June 2018, which would require legislation to be passed in the Dáil in January or February. That would entail two pieces of legislation: one allowing for a referendum on whether to repeal or retain the Eighth Amendment, and another which would legislate for the changes that would have to be implemented to the healthcare system in the event of a ‘repeal’ vote. When asked whether he would be requiring Cabinet to approve the legislation being proposed, Varadkar said that Cabinet would discuss what stance to take collectively, but that ministers would ultimately have the freedom to express their differing views. “We need to have a discussion at Cabinet. What I would anticipate is Cabinet acting collectively, as it always does. So if we put a procedure or proposition to the Dáil and Seanad, that will be a collective decision of the Cabinet. That is not to say that people couldn’t dissent from that… Cabinet can only operate collectively. Even in the old days when there were votes at Cabinet, and that probably hasn’t happened for decades – you could have eight people voting one way, two people voting the other – but they would all agree that this was the collective decision, of the Cabinet. “That wouldn’t prevent them from dissenting to it,” he said. Over the weekend, six Cabinet ministers made public their support for a repeal of the Eighth Amendment in the Irish Times. They are Minister for Justice Charlie Flanagan, Minister for Housing Eoghan Murphy, Minister for Culture Josepha Madigan, Minister for Social Protection Regina Doherty, Minister for Transport Shane Ross, and Minister for Business Heather Humphreys. When asked what his own views on the Eighth Amendment were, Varadkar said that he would make that known in the future. He said that he would take his time to read the report compiled by the Eighth Amendment Oireachtas committee, due to be published this week, and have a discussion with the Fine Gael party and government ministers before making his opinions known. “I’ll be in keen listening mode at least for the next couple of weeks to hear what people have to say, including members of the public about their views on the report and we’ll take it from there. My commitment though is that people will be given a choice to make a decision on this next year. Last week, the Oireachtas Committee on the Eighth Amendment voted to allow abortion without restriction up to 12 weeks, along with a number of other more detailed, nuanced recommendations. In April, the Citizens’ Assembly recommended that the Eighth Amendment of the Constitution be replaced or amended, not repealed, and a recommendation of abortion without restriction up to 22 weeks. The Dáil returns from the Christmas break on 16 January. Before a referendum is called, the advice of the Attorney General must be sought, and a referendum commission must be established, Leo Varadkar acknowledged. As stated previously, the Cabinet, Dáil and Seanad need to discuss the issue and pass legislation allowing the referendum to take place – and all of this must be done soon if a referendum to take place by the summer. “I wouldn’t like to put this question to the public haven’t not done our homework,” Varadkar said today. Email “Taoiseach says ministers will be allowed 'dissent' on Eighth Amendment”. 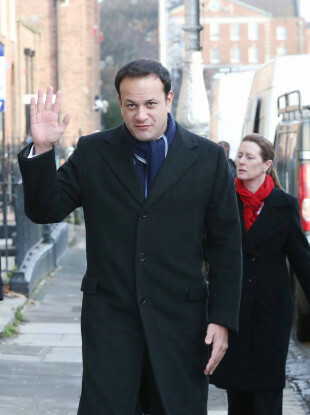 Feedback on “Taoiseach says ministers will be allowed 'dissent' on Eighth Amendment”.